More talking and conversation is what you need for effective communication. People always want to remain connected with their loved ones. That is why people use different communication channels to get most out of their conversations. A mobile phone is the basic channels which provide us all possible ways to stay in touch. Most of the mobile phone users rely on calls, SMS and social media apps to carry out their talks. Telecom companies give economical rates and effective bundles which have made it easy for customers to initiate a call, send SMS and access internet. Prepaid bundles are efficient and also affordable to meet our daily, weekly and monthly communication needs. All packages have something unique to offer but a hybrid bundle has it all. You can easily subscribe to Jazz weekly gold offer by dialing *770# from your prepaid SIM. You will receive a confirmation message regarding successful subscription. Dial *770*2# to check the offer status and *770*3# to get bundle information. If you need more than just a bundle then weekly gold offer can really help you out. The offer has a lot more to offer. You will be provided with following incentives. 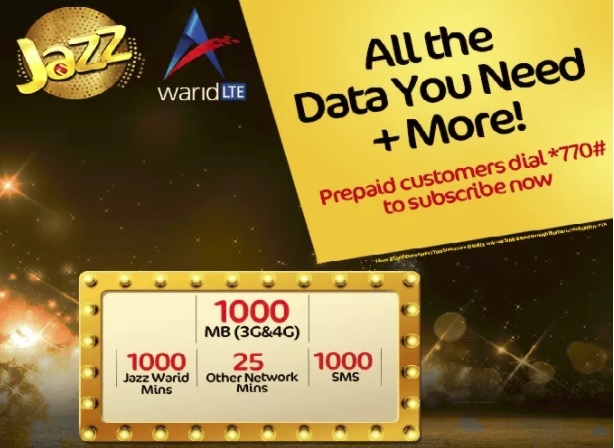 1000 on-net minutes for your unlimited calls on Jazz and Warid numbers. 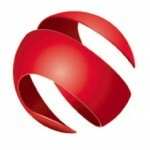 The offer has 1000 SMS for all networks to enjoy chit chat with friends. Not only on-net minutes, you will also be provided with 25 off-net minutes as well. 1000 Mbs of mobile data for free access to the internet for all Jazz users. Customers can avail the weekly gold offer for 7 days after subscription. The offer will only be available for prepaid users of Jazz. All resources will be expired at the midnight of the seventh day. Upon expiration of the offer, all services will be charged at the base rate. No call setup charges will be applied but you have to maintain the balance of Rs 0.15 paisa in your mobile for initiating each new call. Both 2G and 3G users can avail the provided data Mbs. The offer is not auto-renewable; you have subscribed to the weekly gold offer again to use the bundle. Service charges, FED tax and the operational fee will apply according to your region. There is no time limit; you can use the resources for a whole day. On recharge and bill, 12.5% as withholding tax will apply. The company has the right to change or withdraw the offer any time. If you are in need of a complete package then subscribe to weekly gold offer now to get all the mobile services at the best price.